MVS-1000A1/D1 digital micro hardness tester new form of dollars, beautiful, and it has a good reliability, interoperability and intuitive. 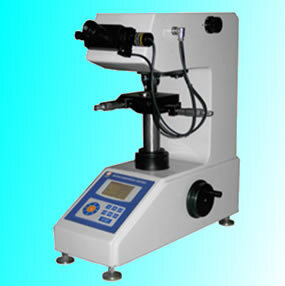 By measuring the length of the diagonal indentation directly in the LCD screen hardness. No keyboard input through the calculation of the value of hardness. The aircraft used high-rate optical measuring system, equipped with a rotary encoder of the eyepiece micrometer will further enhance the process of measuring the degree of automation. Determination may be steel, nonferrous metals, IC thin, thin plastic, foil, coating, surface coating, laminated metal, heat treatment hardening quenched carbide layer and layer of depth and hardness gradient. Is a cheap and practical for a digital micro-hardness.